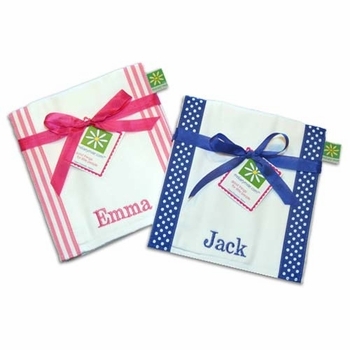 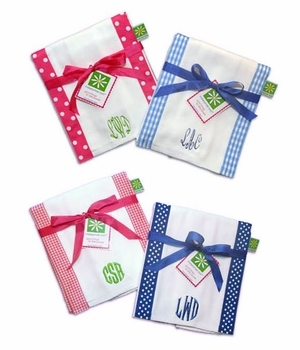 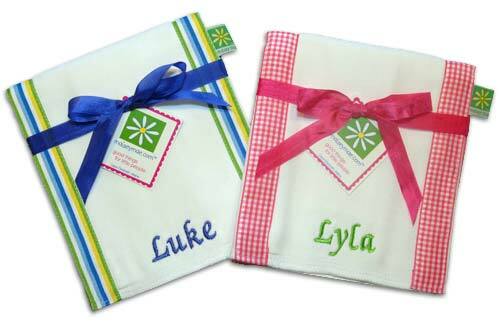 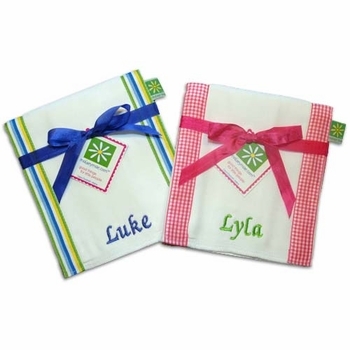 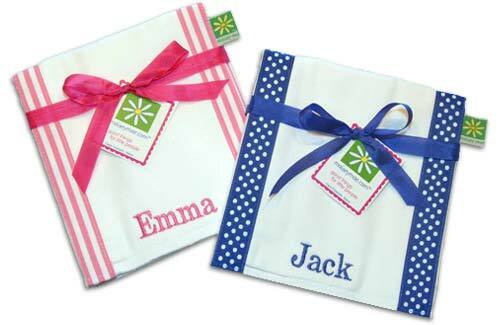 This set of three burp cloths are some of the best we have found and make a wonderful baby gift. 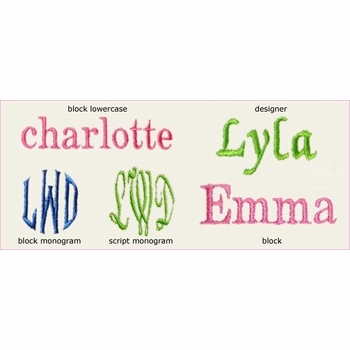 Bundled as a set of three, each is embroidered with baby's name in coordinating thread color to match the decorative ribbon. 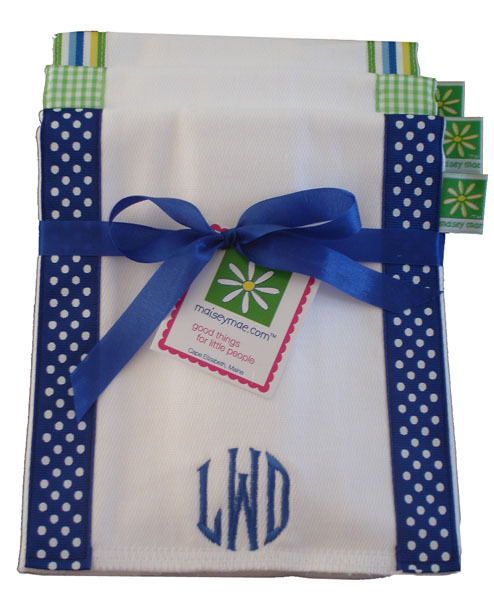 Made from highest quality available. 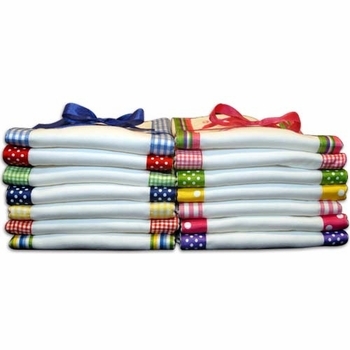 They are made from six thick layers of 100% cotton for super absorbency. 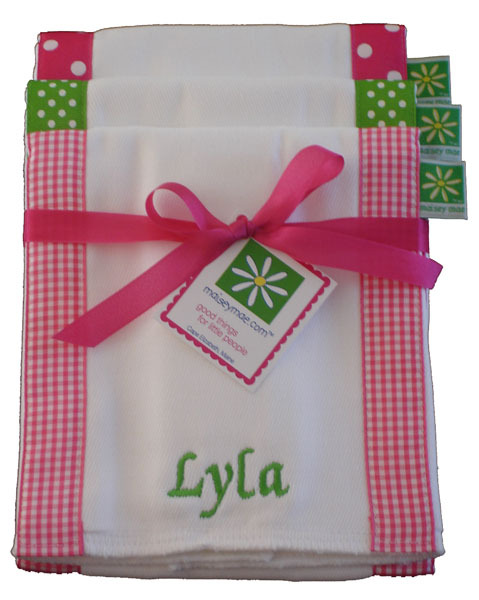 These soft, luxurious cloths measure 14.5? 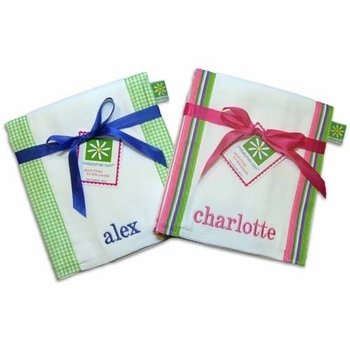 x 21? 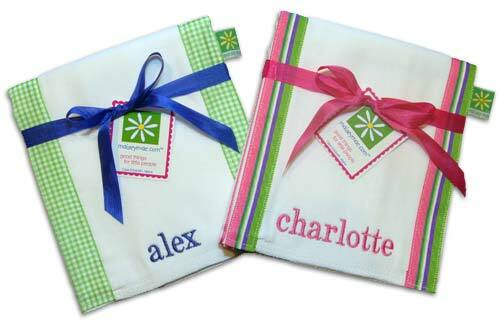 and can be machine washed and tumble dried.